One of the best things about the internet is the way it has democratised the shopping market place. Now you can find out about consumer opinions on brands and products before you even buy and compare prices. Pricepirates concentrates on the latter enabling you to find the best deal for your chosen product. 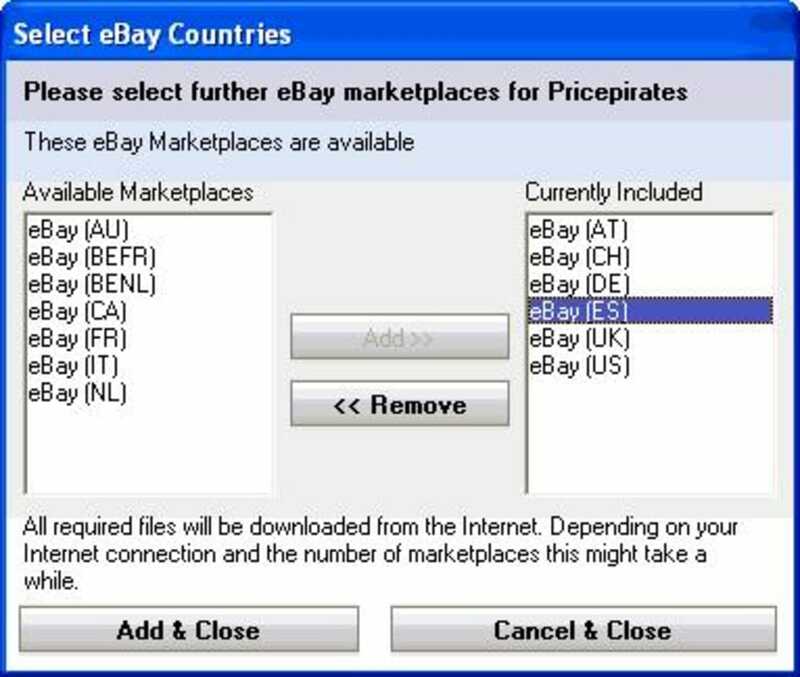 The developers claim it can save you up to 70% on high street prices by searching eBay auctions in 13 countries, Amazon Marketplace and thousands of online stores listed on Shopping.com in just one click. However, if you live outside of the US, you might be dissapointed by this product. Pricepirates mainly searches 95% of the top 300 merchants in the US although it does claim to include the majority of leading stores in the UK too. One really great function is that if an auction of price drops below a certain level, Pricepirates can send an SMS or e-mail to alert you which means you don't need to track auctions as closely. Again though, the SMS service depends on your country and location. Another cool addition is that once you've selected your products to monitor, all products and their price status are displayed in a watch window. If you live in the US, Pricepirates is definitely worth a go although the problem is that with so many discount retailers already operating on the internet, even the prices it offers you may not be competitive. However, it's worth a try if only for the e-bay monitoring function alone. Shop smart and save up to 70% by using "Pricepirates"! 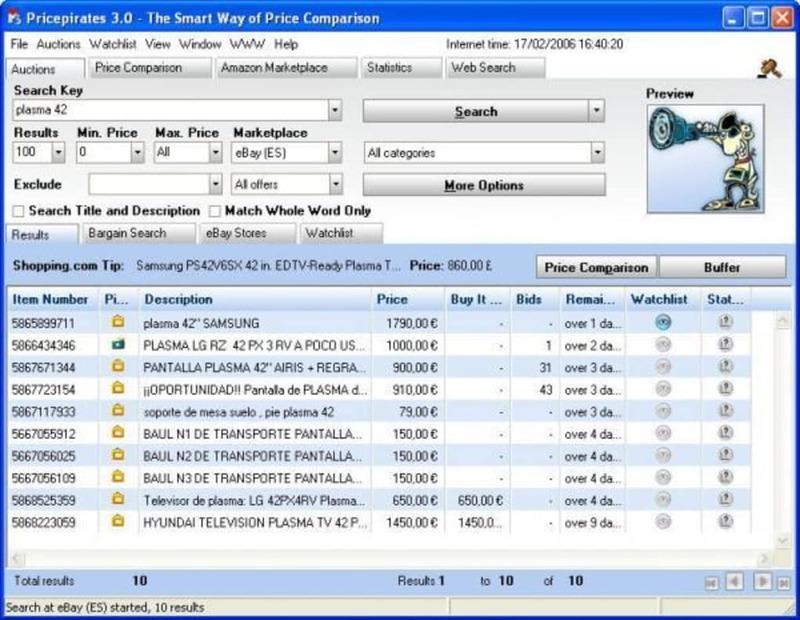 In just one click, "Pricepirates" allows you to compare prices from auctions in progress on eBay with Amazon Marketplace offers and with many other offers from thousands of online stores listed on Shopping.com. What do you think about Pricepirates? Do you recommend it? Why?